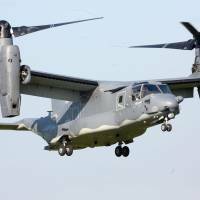 The U.S. military said Tuesday that five Air Force CV-22 Ospreys will deploy to Yokota Air Base in Tokyo later this week in a move that comes over a year ahead of schedule and despite public concerns over the safety of the tilt-rotor aircraft. It will be the first deployment of the Osprey to a military base in Japan outside the southern prefecture of Okinawa, where the bulk of U.S. forces in the country are stationed. The deployment schedule was brought forward from the U.S. fiscal year that begins in October 2019. 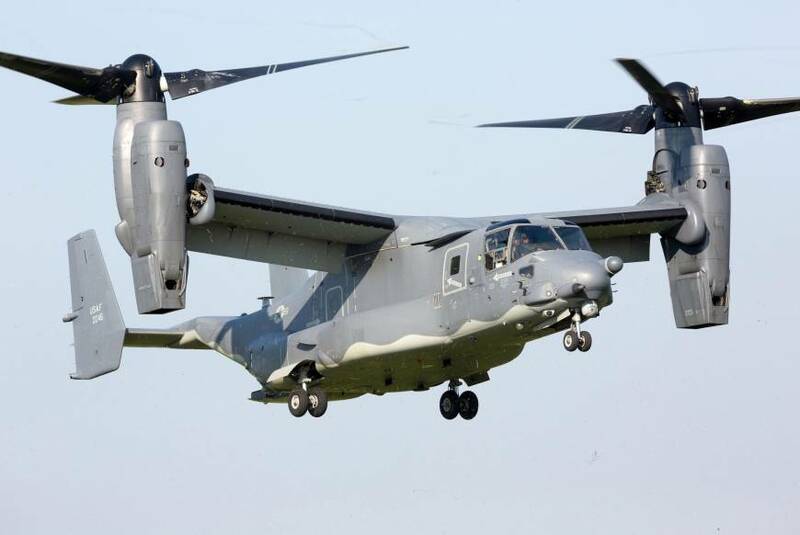 In a statement, the U.S. military said the sped up deployment of the CV-22s was to address regional security concerns. The U.S. military statement also said the aircraft will remain at the western Tokyo base for a short time before conducting training around the region, adding that a total of 10 will be assigned to Yokota in stages over the next several years. About 100 personnel will arrive with the five aircraft before their formal deployment to the base this summer, according to the Defense Ministry. The full crew contingent for the 10 Ospreys will eventually comprise 450 members, the ministry said. The Marine Corps variant of the Osprey, which takes off and lands like a helicopter but cruises like a plane, is already deployed in Okinawa. It has attracted controversy due to a history of crashes and other mishaps in Japan and abroad. The government said it believes the Osprey deployment will improve bilateral alliance capabilities and contribute to the defense of Japan, and regional stability. In May 2015, the Japanese and U.S. governments said three CV-22s would be brought to the Yokota base in the second half of 2017, with the deployment of seven more by 2021. But in March last year, the delivery of the first batch was pushed back to some time in fiscal 2020, with the U.S. Defense Department citing a personnel shortage.